Convenient folding axletree closure, free to put in your backpack or shoulder bag, won't take much space, ideal for daily use. Smooth plastic surface design, fashion and functional, a great protection to inner screen. 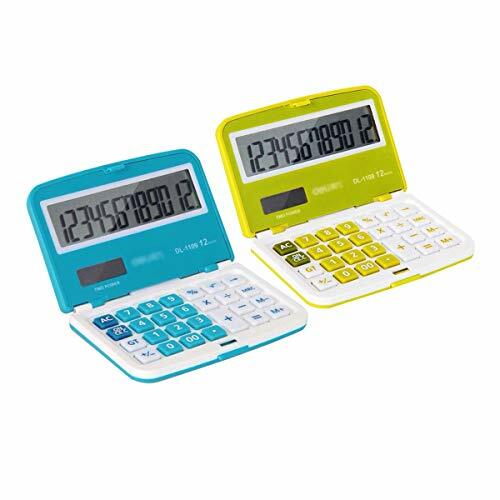 Dual power design, exact calculating performance, high sensitivity keyboards, easy to track bills, solve math problems. Standard mathematics calculating function, can operate basic add, subtract, multiply, divide calculations, square root, etc; quick and exact response, an useful tool for students and offices. Foldable bearing closure design, mini handy size, high sensitivity keyboard, ideal to carry for meeting, travelling, school, business trips; the hardcase cover, protects the inner screnn and keyboard, avoids possible damage. Solar power and battery dual power sources design, economical and environmental friendly, can be applied in all occasions; 12 digit display, clear and distinct screen, easy to input numbers and read the answer. If you have any questions about this product by Aisa, contact us by completing and submitting the form below. If you are looking for a specif part number, please include it with your message.